There is a huge difference between OPINION and ANALYSIS. The former is colored by bias like people who keep calling for the Dow to collapse in Great Depression style by 90% and the hyperinflationists who insist upon gold going to $30,000 and nothing else. Both live in worlds they do not comprehend and their opinions are not supported by historical FACT. Real ANALYSIS is upon letting the evidence speak for itself. There is only ONE entity that is never wrong – it is called the free market. If you are wrong in your expectations, sorry, it is not some plot of a sinister group manipulating the world and you are really right, but for the manipulation. You are wrong because you are married to an unrealistic idea. The USA in the ’30s was like China today. It was bankrupt in 1896 and within 23 years it had become the #1 economy by 1919 as Britain peaked in 1914. China was bankrupt under communism in 1989.95 and 23 years later by 2012 China is the main creditor to the USA just as the USA was to Europe during the ’30s. Sorry – history does repeat. It is like a Shakespeare play. The plot is always the same for centuries – the actors simply change. No Great Depression this time. Everything is different. As for the hyperinflationists, well no major economy has ever expired in such a manner. They look only at Germany and Zimbabwe. Historically, when government gets into fiscal mismanagement as we have today, they ALWAYS turn against the economy and their own people to extract revenue to sustain their power.That is how they die by suicide. HYPERINFLATION takes place ONLY when there is no debt to service. Following the 1987 Crash, we warned that the low was in place and new highs would be made going into 1989. People said you are nuts. How can a market do that after a historical Crash? 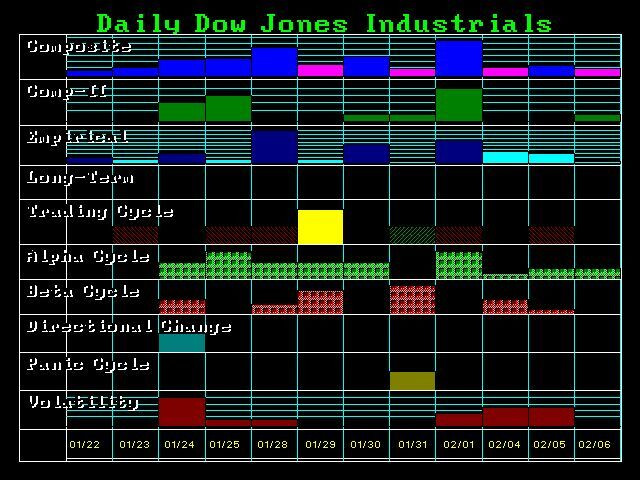 The same people calling for a 90% Crash in the Dow today said the same thing back then The low in 1985.65 when the Dow was trying to get through 1,000, we warned it would go to 6,000 and that deflation was over. Again they said you are nuts. Even here, we warned the low was in place in 2009 and new highs would be seen again. Once more, they said you are nuts. Even Barrons this time reported 6/25/11 correctly the Dow would rise according to our model. WHY do they constantly call for the end of everything? They are just married to the idea that the Dow has to collapse because that is what the charts said in the ’30s. Sorry – pattern analysis is way too subjective. It is an art form where the beauty is in the eye of the beholder. Two people using the same methodology end with with different forecasts because they are colored by OPINION. Immediately, we have rallied for 17.2 days. 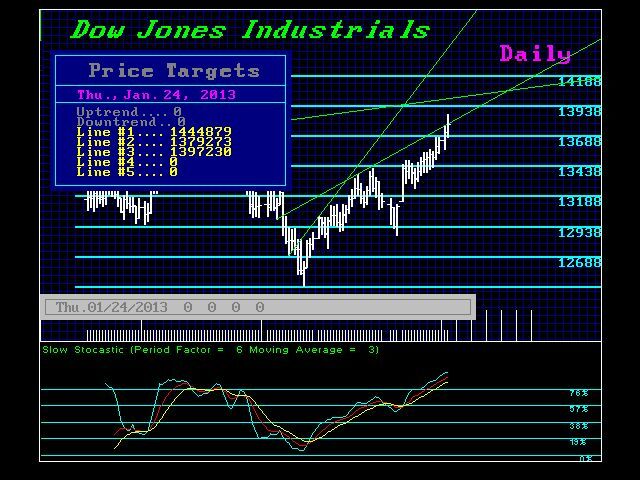 Our Daily Bullish Reversals stand at 13658.04, 13662.55, 13682.40, 13697.82, and 13703.53. We exceeded the Breakout Line, but did not close above it. The 24th is a Directional Change. Illustrated above please find the technical resistance, Next week looks interesting. HELLO January!